Pioneers in the industry, we offer anti static stainless steel table, anti static workbench and anti static aluminum table from India. 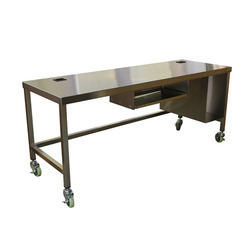 Assisted by a qualified workforce and advanced manufacturing unit, we are engaged in offering a wide range of Anti Static Stainless Steel Table. These tables are built using stainless steel metal alloy. The offered tables possess a good tensile strength, elongation and size stability. In addition, the offered tables perform well as it has anti-strength, anti-resistance, anti-erosion, anti-mildew and anti-weathering features. Further, we ensure that tables are made adhering to international industry standards to offer high durability. We have emerged as one of the leading manufacturers of a wide collection of Anti Static Workbench. 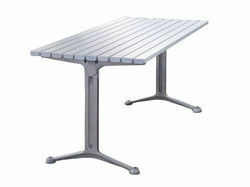 Leveraging on our in-house production unit, we are presenting a wide assortment of Anti Static Aluminum Table.